As we begin the last day of wrestling here at the Wells Fargo Arena, we wanted to take a moment to rehash some of history that is on the line. 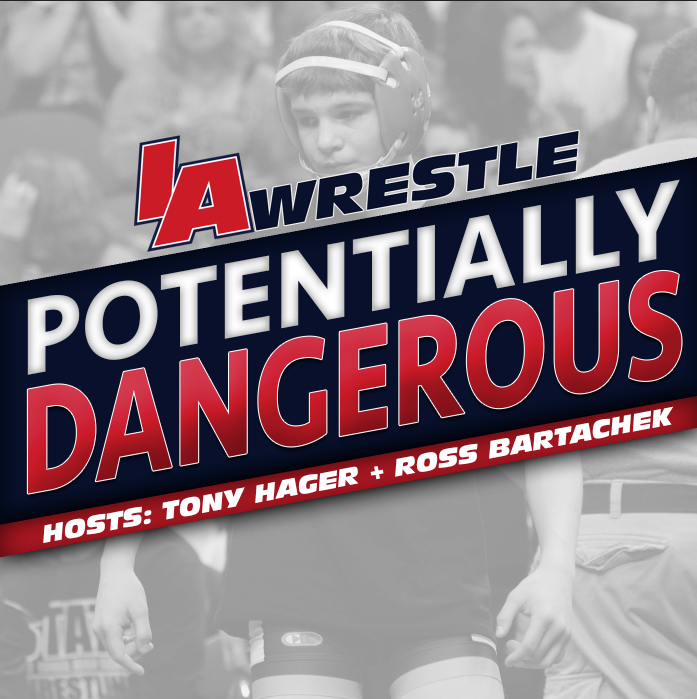 Tonight in Des Moines 42 new state champions will be crowned and as we hit on earlier this week, several of those wrestlers are looking to hit some elite career milestones if they are able to be one of those wrestlers. To start the weekend our state had seen 58 wrestlers accomplish the feat of wrestling in four state finals and this weekend three out of the four potential candidates achieved that milestone. From 2A’s New Hampton-Turkey Valley, Michael Blockhus became the 59th four-time state finalist after earning wins over Andy Brokaw (Solon), Easton Graff (Sergeant Bluff-Luton), and Matthew Doyle (Independence). Blockhus is already a two-time state champion and has the potential to join the state’s three-time state champion club tonight if he is able to best the state’s #2 ranked Jarrett Miller (Ballard). Joining Blockhus in the four-time state finalist club was 3A’s Brody Teske of Fort Dodge and 1A’s Alex Thomsen of Underwood. With two falls and a technical fall Teske rolled through his bracket to become the 60th wrestler to make four state finals. 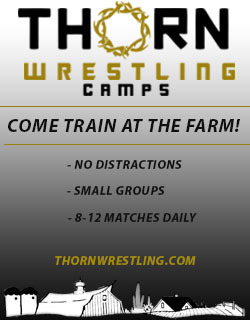 Likewise Thomsen notched three technical falls en route to becoming the 61st wrestler to reach the milestone. 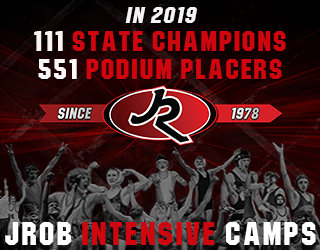 The duo of Teske-Thomsen will attempt to become the 26th and 27th member of our state’s four-time state champion club and with both wrestlers competing at 126 pounds it could very well be a race to see which wrestler gets their name in the record book first. Teske will take on #5 Kaleb Olejniczak (Perry) and Thomsen will face #2 Cobe Siebrecht (Lisbon). There is a lot one could say about Teske and Thomsen, but we will leave it at this. Neither wrestler is lacking in confidence, and to this point both have put on a show along the way. In addition to Blockhus, two other wrestlers reached the finals and have the chance to wrestle for a third state title, both in class 3A. Up first will be Waukee’s Kyle Biscoglia who will take on #6 Ben Monroe of Ankeny Centennial at 120 pounds. The other, Iowa City West’s Nelson Brands, will see his crosstown rival, the #4 ranked Wilfred Kadohou of Iowa City, City High in the 160-pound finals. As far as the team leader goes in our state’s largest class there is little surprise to who sits atop as we head into the final day. 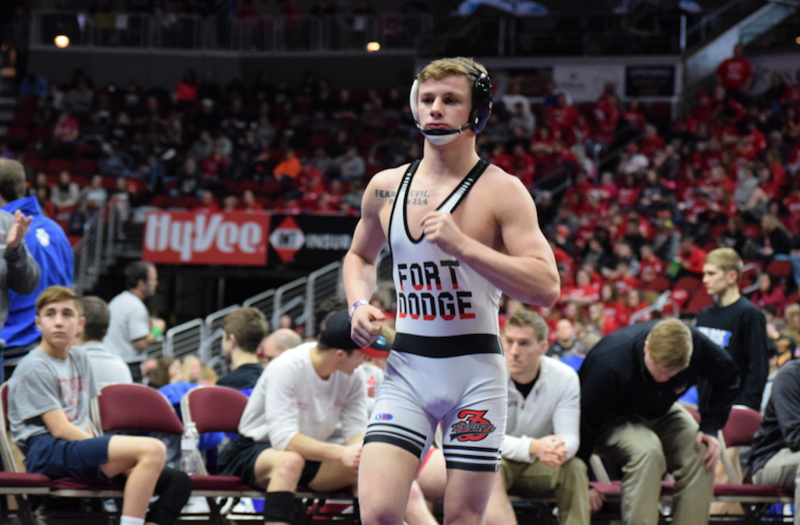 The #1 ranked team Fort Dodge holds a 26 point lead over Waukee, who is having a very strong 2018 team showing as they are poised to finish runner-up in both the duals and traditional tournaments if scores hold out. The Dodgers have placed four wrestlers in tonight’s finals with three of those entering their matchups as the favorite. Additionally, outside of the Teske bout, all other wrestlers are separated by one spot in our final rankings. In a bit of a surprise, it is not New Hampton-Turkey Valley who sits a top the 2A rankings heading into the final two sessions. Top heavy Dubuque Wahlert has a 19 point lead to begin the final day with three wrestlers scheduled to wrestle in tonight’s finals. Wahlert built their performance on the backs of all four of their qualifiers reaching the semifinal round. Of their finalists two enter as the favorites on paper and the third – 170-pound Kolton Bartow does own a prior victory over his opponent #1 Lucas Roland (PCM). Last we have Lisbon who fell short in defending their dual team title, but currently sit in a strong position to defend their traditional title. The Lions exploded in the semifinal round, sending four wrestlers to the finals, and perhaps more importantly two of those wins came over rival Don Bosco. With those losses, the Dons only managed to place two wrestlers in tonight’s finals, #3 Daniel Kimball and #1 Gable Fox. Both wrestlers have a shot at bringing home a state title, though Kimball will be the underdog in his 106 match with #1 Jaymus WIlson of Alburnett. 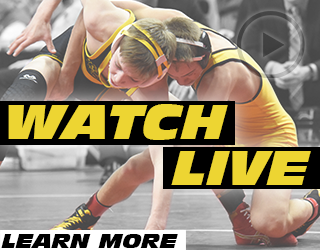 The Lions are favorites in two of their finals matches, #1 Cael Happel looks to repeat as state champion at 120 pounds and #3 Cooper Siebreicht has #6 Wade Mitchell (Woodbury Central, Moville). #4 4 Bryce Werderman (Lisbon) will look to continue his string of ranked wins coming off victories over #2 Nathan Haynes (Missouri Valley) and #9 Thomas Even (Don Bosco) and his final opponent will be #1 Gabe Pauley (AHSTW). ← Dan Gable Wrestler of the Year FINALISTS!